We offer affordable Hosting including E-Mail and Domain Management for all our customers. No technical know-how is required, we set everything up and maintain it for you. We are also happy to help with setup on other Hosting Providers. In addition to search engine optimization we also help to advertise your website and products via internet marketing. We design an efficient strategy that covers all areas, instead of independent marketing efforts. Four easy steps to your own professional Website. We find out about your requirements and goals in a kick-off meeting, in person or via telephone. We design a first prototype of your website. We will then make changes to the design to make it fit your vision. After we complete the website you can add, or let us add, additional contents. After that is done we will optimize the website for search engines. The website is ready and can be put online! Of course we will be at your side – you do not need any technical knowledge. Every Website we create is modular, fast and secure. Every website we create is up to the latest design standards and will be relevant for years to come. Your visitors will be impressed by the design and functionality. Nobody likes to wait until a website has loaded. With a smart mix of design-time optimization and special improvements on the Hosting side we get your website to top speed. 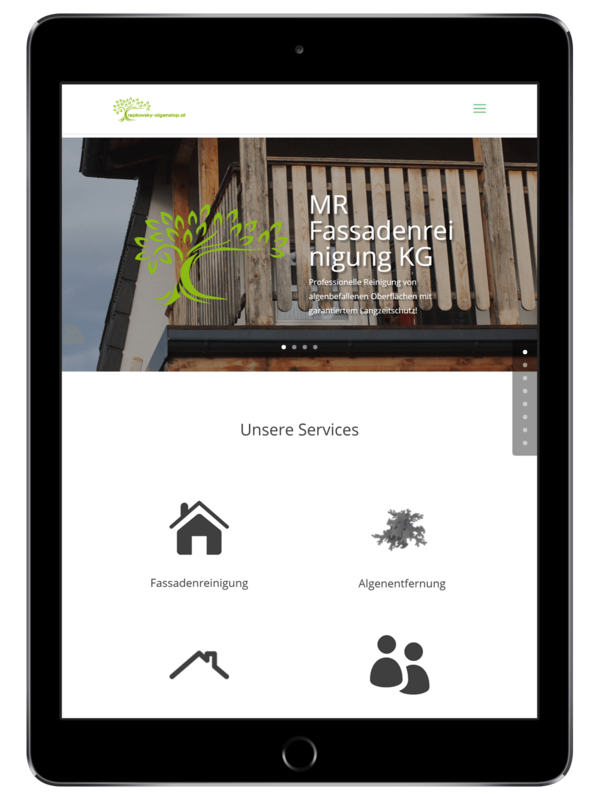 Above you can see the Website of the MR Fassadenreinigung KG. It is one of our priorities to protect your website against hackers as well as possible, and to make sure it can be reached even during possible DDoS-attacks. Due to an easy-to-learn user interface you can make content changes on your own at no cost. If you need any help we are here to support you! 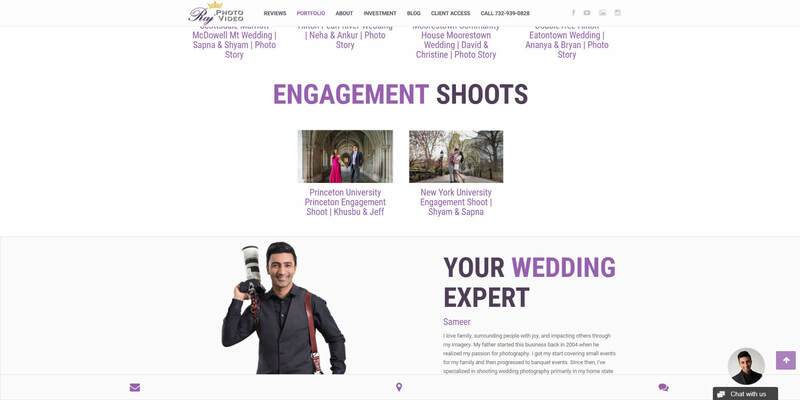 RajPhotoVideo is a home studio based out of New Jersey that specialize in high quality wedding coverage. We did not only create multiple websites for them, but also helped to automate and improve various aspects of their customer interaction, from E-Mail newsletters to Photo/Video delivery. E. – D. – V. – E D E R is a company of IT retailers based in Gedersdorf, Austria. Besides creating and maintaining their website we also support their business partners and customers with consulting and webdesign.